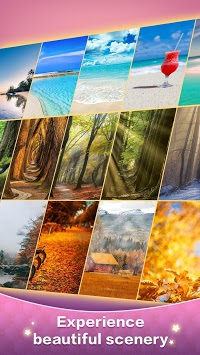 Best beautiful scapes crossword puzzle game! The best scapes word crossword puzzle game ever! As a free scapes crossword puzzle game, Happy Word - A crossword answers game combines the game play of word search and traditional crossword, perfect fit for word fans. 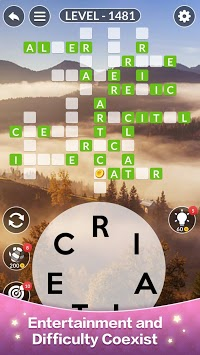 By searching and linking letters, you get a complete word and fill it into a crossword blank. Furthermore, if you want to get the level passed, you need to find all the words hidden in the crossword. Various modes for you to keep challenge yourself and train your brain. 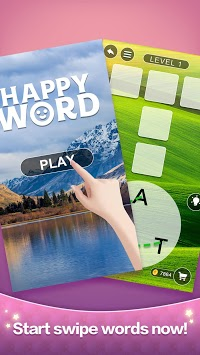 With Happy Word, you can easily improve your vocabulary, concentration, cross words and spelling skills.All in our Happy Word! FREE DOWNLOAD NOW! ♥ Play offline! No wifi required! ♥ Go back to previous levels anytime, so you can share difficult levels with friends! ♥ FREE hints, get tips without fees! ♥ 4000+ levels without repeat, be a word master in our training! ♥ Every level has beautiful pictures! Our Vision: Create happiness with heart !